Every now and then we go in with my in laws and buy either 1/4 or 1/2 a cow. When we are able to do this I am in heaven. With being grass fed, no hormones, as natural as you can get with cows, their beef is to die for! It is always tender and juicy. They only raise one at time so it is not stuck in a huge massive feed lot either. I hate when we run out and I have to go back to buying from a store! One day a few summers ago we were tired of cooking the roast the same way- in a crock pot with potatoes and carrots. I was trying to figure out what else we could with it. I was told grilling it would dry it out, but being in love with my grill I had to try it anyway! What we do is take either an arm or chuck roast (really any roast will do) and slice it like steaks. By slicing it you are tenderizing it a little. Then we place it in a bag with a marinade like Italian dressing, or a simple steak marinade. This time around I used the Jack Daniel’s Steak House Marinade in a bag. We let the meat sit in the refrigerator for at least 2 hours, the longer the better! Then you just grill (or can broil it) like you would a steak! 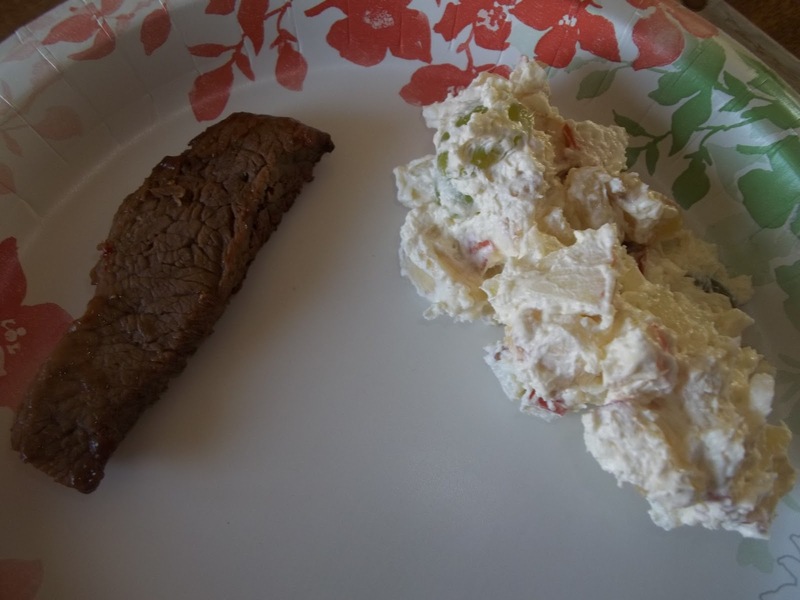 Serve with any side, below we ate this with corn (not pictured) and a Fruit Salad. This is also a great dish for camping. Make it the morning you leave and let it sit closest to the ice. If you leave a Friday afternoon it will be good until Saturday evening! 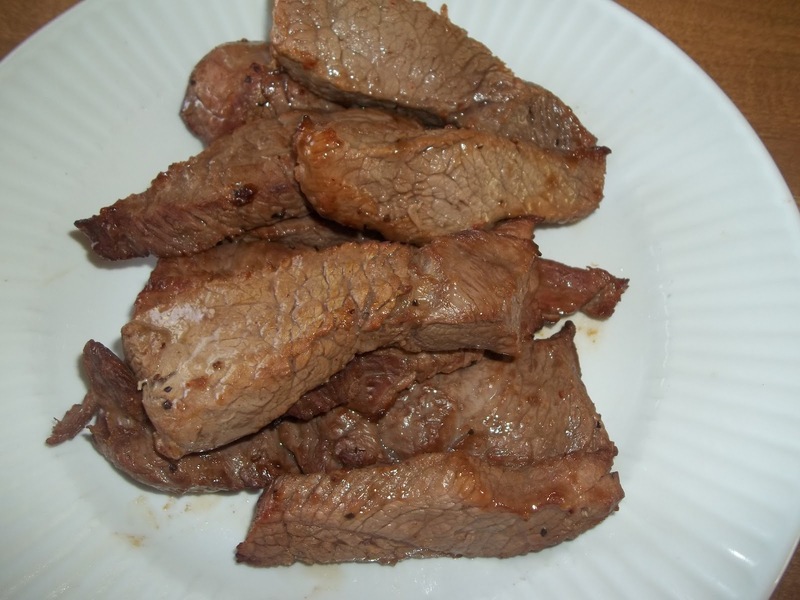 This entry was posted in Beef, Recipes on April 3, 2012 by Kandi.